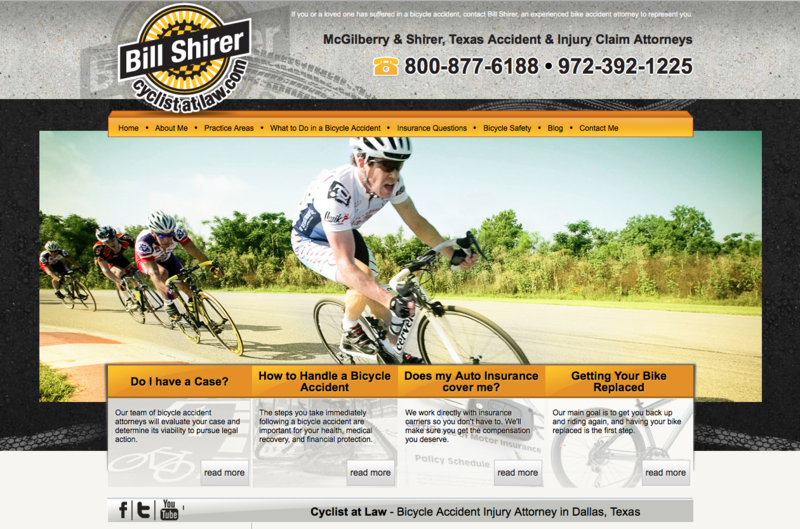 The Cyclist at Law website redesign was a great opportunity to create a modern and mobile-responsive twist on its existing theme. 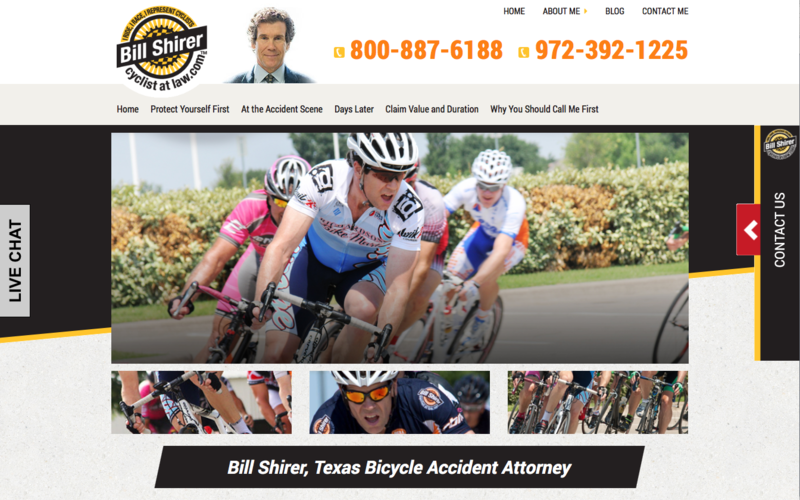 Ideally we wanted to personalize the “Cyclist at Law” brand by adding more photos that related the client to the firm and further emphasized his role in the cycling community. This personal touch, in congruence with a sleek design, has resulted in a clean and more functional site. Having a site that translates well onto mobile devices is now key for good SEO. Due to a recent Google update that gives mobile responsive sites a better ranking, this type of site redesign is paramount to keeping a business competitive. Advice Interactive has been helping many clients improve their rankings and increase conversions with a more attractive mobile responsive site. Test your mobile responsiveness right now. Too much text leads to user confusion. With a simpler design, we aimed to make the user experience straightforward and informative. We understand that, with law firms, the key is getting visitors the information they need quickly and easily. We achieved this by creating a header that is less text-heavy, making practice area information much more clear and accessible. A site redesign not only gives your business a much more modern and competitive edge, but it also translates into more customers. With more people using mobile devices and touch pads to surf the Internet, it is crucial that your site be professionally designed to be mobile-friendly. Advice Interactive is the leader in providing creative redesign solutions for your site. Let us work our magic for you.